Though tongues and tribes may differ we are One Nation; One Nigeria and our strength and beauty lies in our unity. Venue: Tafawa Balewa Square (TBS). 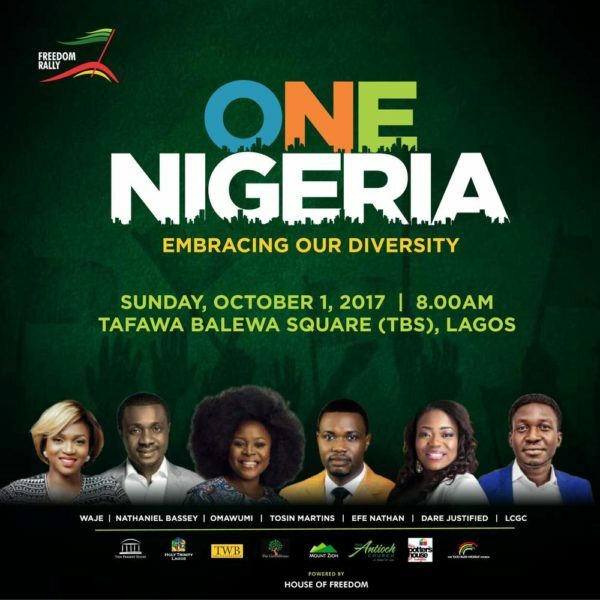 As Nigeria turns 57, we embrace our diversity today for a unified future. Freedom Rally 2017 is an initiative of House of Freedom with a mandate of nation building presents a rally like no other. 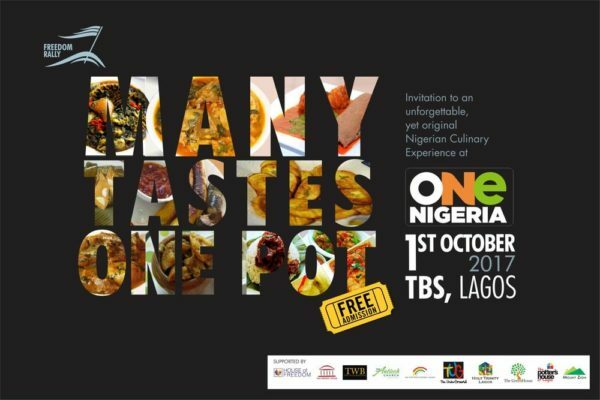 This year we are celebrating the beauty of Nigerian cuisine with a very innovative food court. Join us for a taste of homemade cooking .You don’t want to miss this.